We have all experienced the offer of help by sales people when they say "May I help you?" Yet, when most people in buying/looking mode are confronted with "May I help you?" they shy away from any positive action. Why is that so? With the very best intentions in mind the sales person has asked for a commitment before they have earned it. The potential customer knows that by answering yes they will be put in a situation of being accountable to the sales person. People don't like to be placed in a position of subservience. That is why they will generally answer NO to the commitment question of "May I help you?". Sales people must learn how to build the intangible relationship before they start to sell tangibles. This will certainly help to overcome the silent objection to their well intentioned overtures. How can the sales person turn the opening statement of their first meeting with potential customers into a positive experience for them and an engaging one for the potential customer so they will buy? Here are some techniques that take a different psychological approach to engaging with the customer before the heavy commitment question is answered. 1. Alter the question to ask "How may I help you? "or "In what way can I help you?" Now the potential customer cannot answer with a just a yes or no. This invites a more positive answer such as: "I am looking for (insert need)" or even better, "Do you have (insert item)?" You may still get "I'm just looking thank you", but it will reduce the number of outright refusals to interact with you or allow you to help the potential client. a) "All the great specials in our catalogue are at this (point to where it is set up) counter. Let me know what interests you most, won't you?" b) "If you are looking for (insert popular items name) they are located at (point to where it is set up) counter/stand. Please tell me what you are looking for if it is not there, won't you?" By delivering a potential benefit before you have interacted with the customer you have a reason to go back to them later in the sales process. Or just as importantly you have given them a reason to engage you. a) "I'll be with you in a moment just as soon as I have finished this little task. Let me know what you are looking for then, won't you?" b) "Sorry, I just have to complete this little task over here. I will be with you in a minute. Your thoughts on what you are looking for will enable me to give you some help in finding it." The implication here is that you will not be with them immediately, but you will eventually get to speak with them. If they say OK to that then it is far easier to do a fact find on what they are looking for or whether they are lookers or buyers. 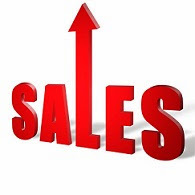 This is to enable the sales person to build up a positive psychological connection with the potential customer to build rapport by not talking about any sales topics. Weather introduction: "My goodness, is the weather outside as miserable/hot/windy/pleasant or wet as it looks?" Geographical question. "You look as if you have travelled a fair way to get here. Where are you from? What suburb do you live in? How did you travel to get here?" The helpful statement. "Be very careful of the parking inspectors here. They are really sharp." "Did you know there is free parking behind our store?" Then be very ready to have a connector statement or question to tag onto your soft introductions. This allows you a smooth introduction into the help part of your job for the potential customer. "Are you looking for something special for yourself, your partner or a special occasion or are you looking to get the best value for your hard earned dollar?" Once again you take out the yes/no scenario. The potential customer will most likely answer to one of the options you present to them rather than put you off. "Good afternoon. My name is David. (Insert your employees name or the company name) is delighted you have seen fit to come into our store." Then say what is in point one above. In the event of being given a brusque "I'm just looking" brush off statement by customers offer the following statement to them. "If there is anything you are not sure of or want a special price on, you will let me know. won't you?"  Each of these scenarios need to be role played by sales people.  Be very aware that your presentation should not be a wooden canned monologue.  Insert your own language and words you feel comfortable with.  Learn from your success and failures what works best for you.  Never stop refining and practising your introduction techniques. Interesting insights. I can certainly relate to them as a customer. When sales people make you feel at home and at ease in their space, rather than on guard, it makes shopping a much more pleasant experience. Ad of the Month - Good or Bad?